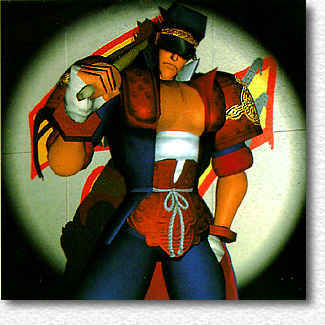 Despite only being a 17 year old High School Student from Nishino Machi, Bahn is a powerful and imposing fighter in a long coat and hat, who has come overseas to find and fight his father, whom he has never met and abandoned him and his mother when they were small, he has declared himself 'Gengis Bahn III'. 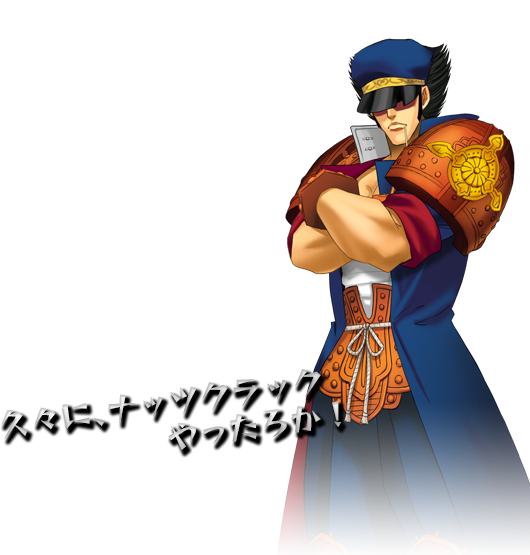 Bahn is closely based off of the iconic manga character, Jotaro, from Jojo's Bizarre Adventure. 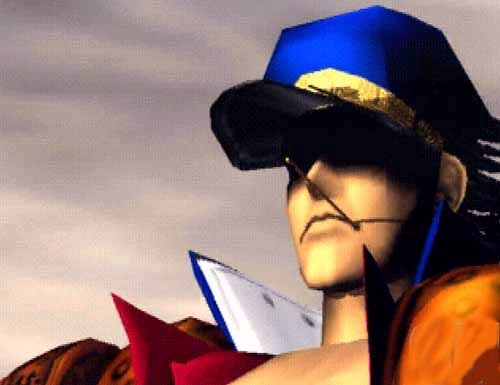 Bahn is probably the most badass character of Fighting Vipers... and is my favorite character, respectively. 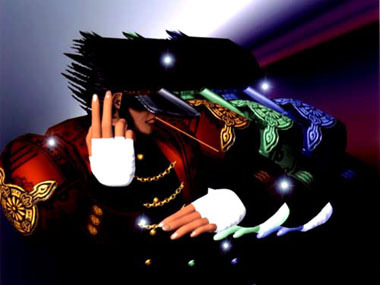 ;) He resembles Jotaro quite a bit, but also adds his own spin to "the look." 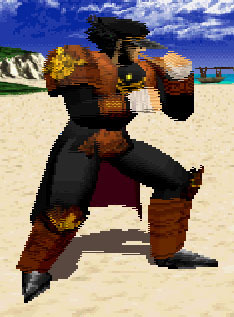 Bahn has quite a few hard-hitting moves, which seem to be borrowed from the likes of Akira, Ryu, and even Kazuya. 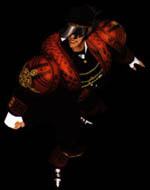 He's got a few shoryukens, shoulder attacks, and other hard-hitting strikes that bring the ouch factor. Whether or not you think his moves are "rip-offs"... he's still a cool and fun character to use.